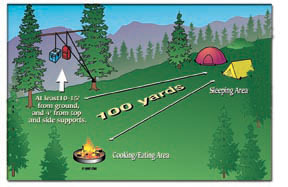 Before you head off to anywhere bears call home, do a little homework of your own. Learn how to view and photograph bears safely, what to do if you encounter a bear, and simple ways to prevent problems for people and bears. 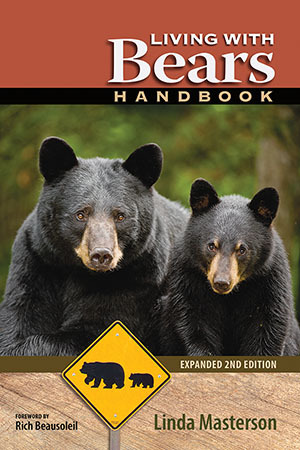 Now available: Bear Smart Pocket Guide for anyone who travels or vacations where bears roam. Visiting Bear Country covers bear smart tips for driving and staying in bear country, photographing and viewing bears and what to do if you encounter a black bear. How Do the Pros Get Such Great Shots? 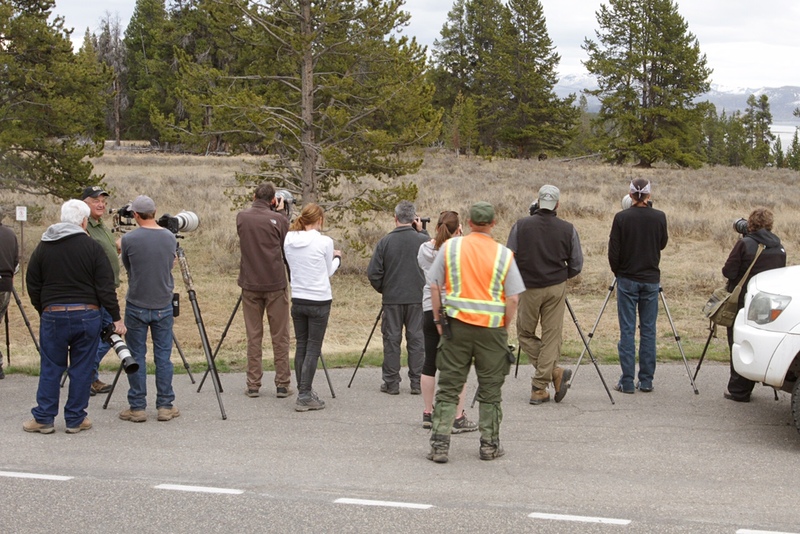 Some pros spend a lifetime learning how to safely observe and photograph in the wild. Others pros rely on special access permits to controlled wildlife management areas and zoos, game farms or wildlife sanctuaries. Close-ups of snarling bears often star a captive bear that earns its living performing. The teeth-baring snarls are the result of the bear trying to lick a big blob of sticky peanut butter off the roof of its mouth. Pros use impressive telephoto lenses—in the 600mm range—and other equipment that the average tourist wouldn’t want to lug around. One good lens can cost more than $8,000 and weigh 13 pounds. When I want a great photo, I buy postcards. The lighting and composition is perfect, and they fit nicely in a photo album. 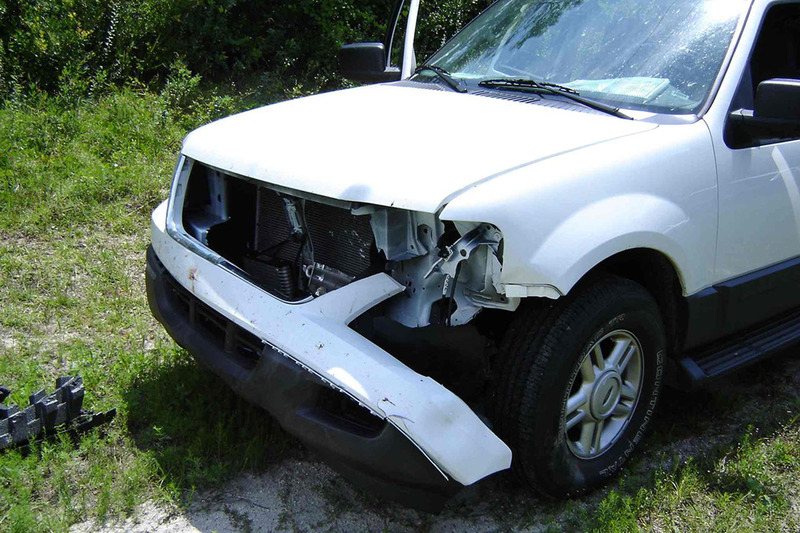 All over the U.S. and Canada, vehicles and bears are colliding more often, with predictable results. Bears die. Vehicles are severely damaged. People are injured. And if you don’t carry comprehensive insurance coverage, you can be stuck with a big bill. Black bears on black roads are hard to see. Drive carefully, obey the speed limits, and keep your eyes peeled. Statistics show that most collisions occur at dawn, dusk and at night, or under conditions that make animals hard to see and at speeds that make it hard to stop. If you do hit a bear, please report it; statistics provide ammunition for making roadways safer for bears and people. If you injure a bear, call 911 and wait for wildlife authorities to arrive. Don’t try to help; the bear is most likely in pain and frightened, and you could get injured. Dogs were involved in more than half of the 150 reported non-fatal black bear attacks on humans between 2010 and the end of 2015. Just under half (46%) of the dogs were injured or killed; their owners did not fare quite as well, with 62% of them suffering injuries. 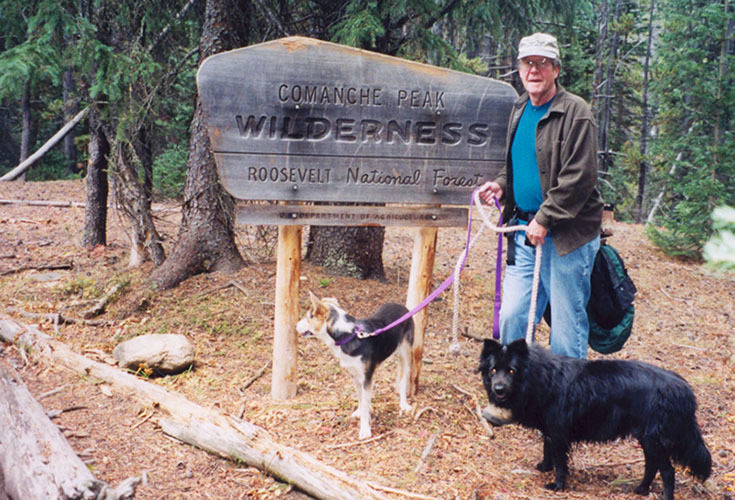 Most of the dogs involved had been off-leash, a situation that can easily result in an aggravated bear chasing a yapping canine back to its owner with unhappy consequences for all involved. Experts recommend that if you walk your dog in bear country, you keep it on a short leash at all times, carry bear spray and a walking stick, stay alert and turn off your electronics. 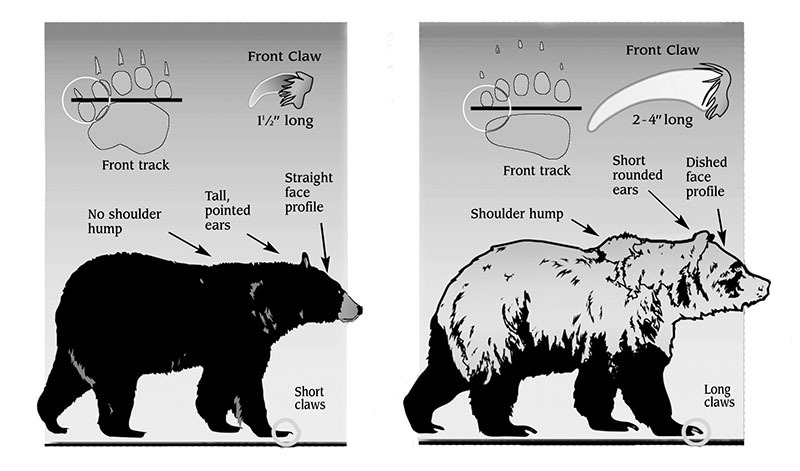 SOURCE: Hank Hristienko and Stephen Herrero's paper in International Bear News, 2014, and updated statistics from authors, 2016. "Living With Bears Handbook is the most comprehensive, cogent, and handy guide about bears that I've found. I recommend this book as essential reading for our young officers in training and to citizens who live and play in Colorado's abundant bear country." "Linda makes it easy to be part of the solution."